The star of the Australian Open is an inanimate object. 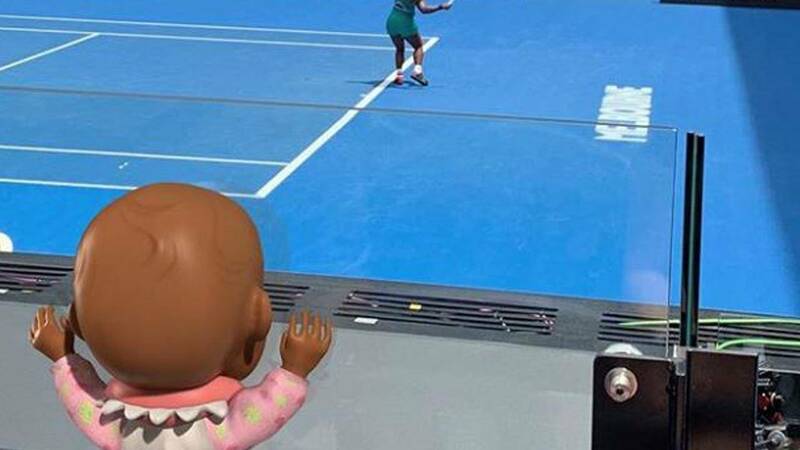 Game, set and match goes to Qai Qai, the doll and BFF of Serena Williams' 1-year-old daughter, Olympia. Qai Qai (pronounced "quay-quay") has her own Twitter and Instagram accounts, with a combined audience of 106,000 followers. She has been down under with tennis star Williams, Olympia and dad, Reddit co-founder Alexis Ohanian. She has been watching "grandma" from the sidelines and sometimes takes herself out for a stroll. But sometimes she gets left behind. so what are y’all trying to leave behind in 2018? She watched Williams face off against male tennis star Roger Federer, when Switzerland took on the U.S. in the Hopman Cup mixed doubles in Perth. In Melbourne, at the Australian Open, she put on her shades to enjoy a sunset. She even got behind a television camera. Qai Qai is so trendy that Williams was even asked about her following "grandma's" winning match against Germany's Tatjana Maria on Tuesday. "I wanted her to have a black doll," Williams said of her daughter. "Growing up, I didn't have that many opportunities to have black dolls. And I was just thinking, like, I want her first doll to be black. And her heritage, obviously she's mixed, she's Caucasian and black, but I feel like that was her first doll and I said her second doll would be Caucasian. "I definitely want to always teach her love and teach her just basic human — humans should always have love for each other, no matter what color they are." There is much speculation about who exactly runs Qai Qai's page, with even Olympia's dad trying to cover up his contributions. "The page, operated by Reddit founder Ohanian..."
Qai Qai wasted no time firing back.